So last night, on the spur of the moment, I decided to finally give the Fashion Code a try! Thank you to the T4 ladies who shared this amazing site with me! Well, it turns out that each individual has unique proportions that are best served by dressing the right lengths in the choice of their garments! My red cardigan didn't work for me despite the gorgeous color and basic/classic style because the length was all wrong on me. 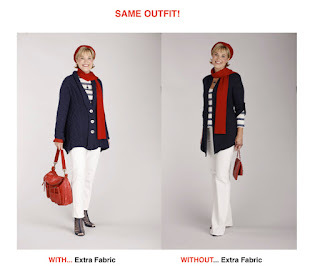 For those of you who noticed the links on the left, I have had the 'Fashion Fit Formula (aka FFF)' link there for quite some time now. I initially found this website and have always wanted to try it. Well, after I found out about the Fashion Code which is basically the same type of service but one that was... a) instant download (in PDF format), and b) required a lot LESS measurements than the FFF, I just had to go with that...! For 30 bucks, you can weed out your wardrobe! And know for SURE which pieces will work for your body proportions and make you look amazing... Then you can also take the pieces that need some alterations and also save heaps of money that way! By not buying new pieces! I've shared this site with a lot of my friends online, and just as I was really impressed and convinced with their Before and After's, they too were interested and happy with their purchase! What a crock. The" after" models are turned at such an angle they naturally look thinner. 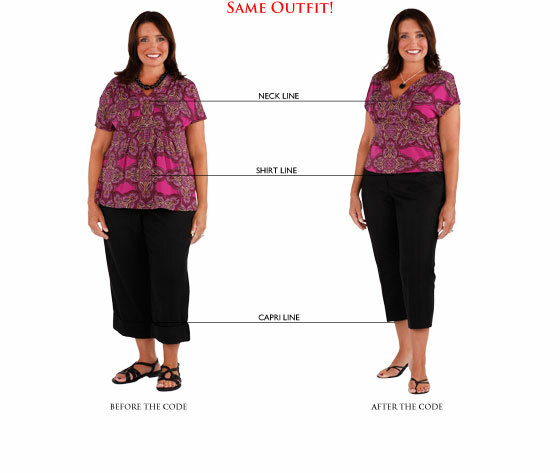 The" before" women are put in clothing that is too big for them. I am surprised that someone who claims to be a fashion advisor would not do a trial of both services. If did a test on both. 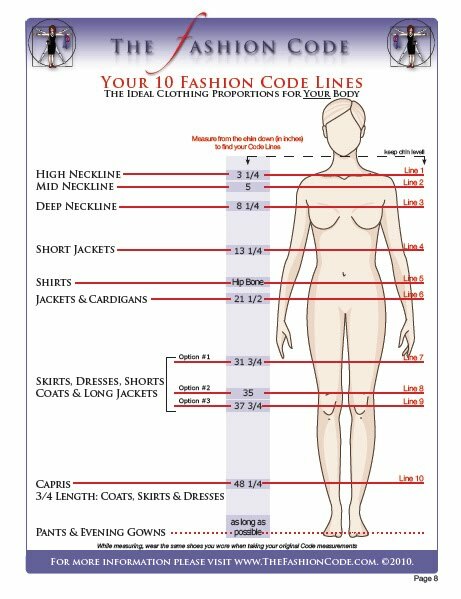 4 women from around the country sent in their Fashion Code and Fashion Fit Formula measurments. An interesting thing happened. 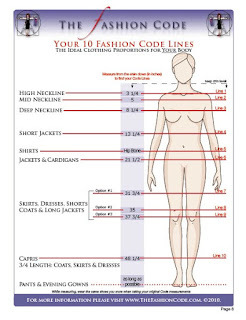 All the Fashion Code measurements were the same and the Fashion Fit Formula measurments were all unique and correct. Ask yourself, how can you tell about a person's body with 3 measurements. Please don't tell me about the Fibonacci Code. I have a PhD in math, and the 0+1=1, 1+1=2, 1+2=3, 2+3=5, 3+5=8, 5+8=13, 8+13=21 etc. cannot be used to predict propoer clothing lists. Either do a fair test or take down you post. *omg* I'm a Type 4!! !